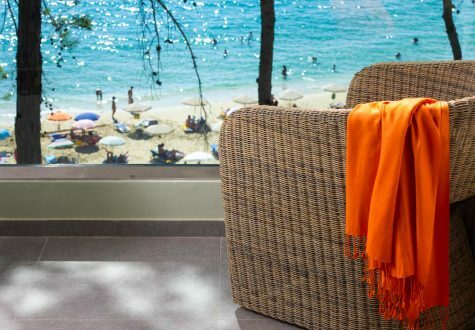 With uninterrupted sea views the White Rocks luxury Hotel offers accommodation in 162 fully refurbished guestrooms and direct access to a selection of beaches. 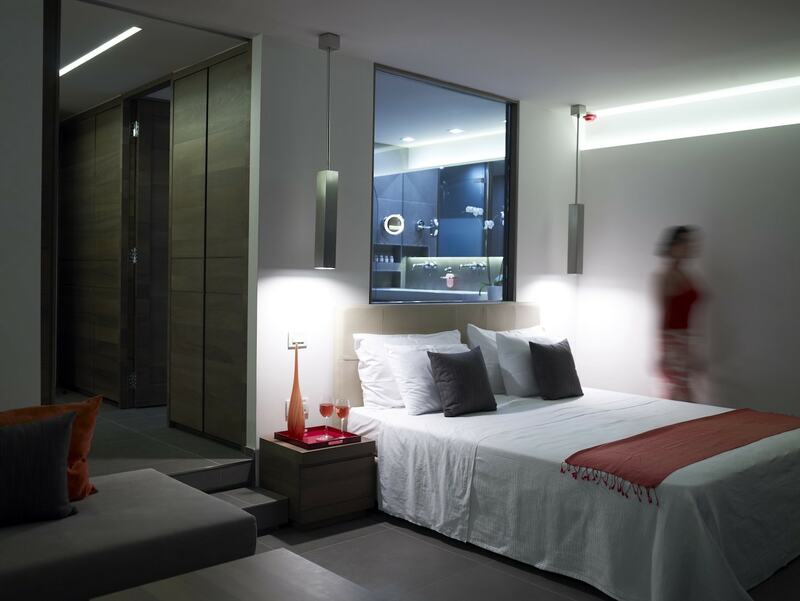 All accommodations tastefully combine natural indigenous materials with contemporary uncluttered luxury design. White Rocks luxury Hotel offers a wide choice of rooms from doubles to junior suites, superior bungalows and two bedrooms waterfront suites. 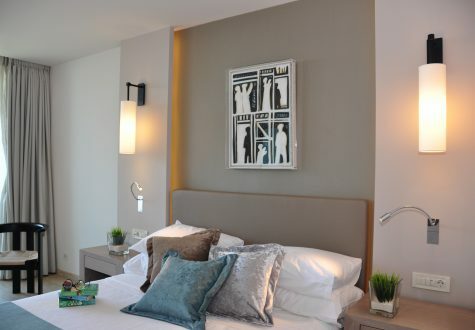 With a contemporary modern style the luxury accommodations are designed for total comfort and are complemented by chic furniture and floor to ceiling windows providing spectacular “front row” sea views across of the Ionian sea and the beautifully landscaped gardens. Spacious and relaxing, each room offers either a private terrace, balcony or garden. Light and airy, these luxury accommodations in Kefalonia have everything you could ever need to make your stay a real pleasure. Most rooms have sea views and all of them have en-suite facilities with bathtub and/or separate shower cubicle, tropical rain shower and/or jacuzzi tub. All rooms are individually air conditioned and feature twin or king size beds, flat screen TV, mini-bar, safety deposit box, direct-dial telephone line, complimentary Wi-Fi and toiletries, beach towels, hairdryer, magnifying mirror with light, and sound insulated double glazed doors leading to balcony, veranda or garden outdoors area. 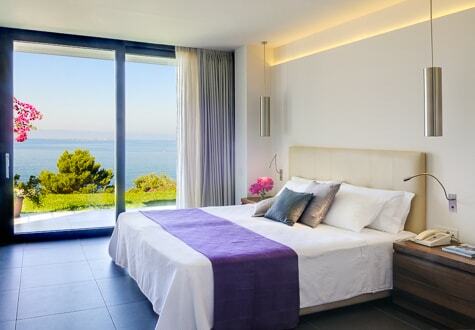 The ideal place for guests to escape, the White Rocks luxury Hotel rooms resonate with a naturally chic zen climate. There is a choice of accommodation that covers the main building area of the hotel complex as well as several ground floor bungalows that are laid out around a 60.000 square meters property. All these accommodation options give guests an opportunity to enjoy a stroll around the Greek flora gardens. Delivering the perfect combination of elegance and history, the White Rocks luxury Hotel is a certified Green Hotel offering a distinctive culture of service. We give you the possibility to book accommodation only or Hotel & Flights with access to the most affordable flights including low cost and charter options.